Due to liquidity crunch real estate market seems to be down, but still property price in Gujarat or in other state may increase by 15% by next week. If you are planning to purchase your dream home it may cost you more. This Price rise is expected if rising input costs of material and labor are not controlled in time. Gujarat Institute of Housing & Estate Developers (GIHED) which represents the construction fraternity said recently that it is possible that the price of property in the state will rise by 15 percent. This is due to hike in cement cost by 35 % between June to September, 2012. The sand prices have also risen by 100 % in last three years. Apart from this labor cost is increased by 180% across various categories since 2009. This escalation in cement price & labor cost has created pressure on developer’s profit and developer is set to pass on this effect to end customer. Cement bag use to cost 235 Rs/- per bag in June, 2012 now it is costing 315 Rs/- per bag and it is expected to reach 350 Rs/-.Generally, cement companies increase prices in March, but this time they started increasing prices from June itself, which is the beginning of the slack period in the construction industry. 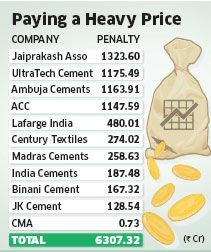 The Competition Commissioner of India imposed penalty of Rs 6,307 crore on cement companies in June for forming cartel and the companies started increasing price to recover these losses. So company is ultimately passing this penalty to end customer. The per square feet construction cost has almost doubled from Rs 700 in 2009 , backed by rise in input cost of raw material and labor, shrinking the profit margins of the real estate sector in range of 20-40 percent. If real estate developer want to pass on this rise in input cost to customer than it will be difficult by them. 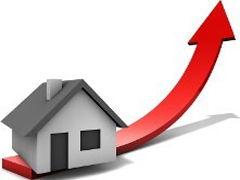 This rise will have an adverse impact on the realty market which is already witnessing a bad phase. If this price hike continues than it will turn things bad to worse for developers & actual end customers.